Congratulations! I’ve ordered my book and while not quite waiting by the mailbox, I look forward to reading it. Thank you, Mrs. Weller! I hope you’ll enjoy it. STORIES/BOOKS AVAILABLE ON AUDIO AS WELL. LISTENER LIBRARY,RECORDED BOOKS. Hi Julie, Sparkers is currently my only published book. I’m glad you’re enjoying it! Can you make a sequel? Hi Sophie! There will be a companion to Sparkers, set in Ashara with new main characters. Some of the characters from Sparkers will make appearances. Picked up your book out of curiosity and found it a very good read. Well written and captivating. I’m from Sweden but here its common to buy books in other languages since a lot of fantasy and sci-fi books never gets translated or if they do, it takes forever. 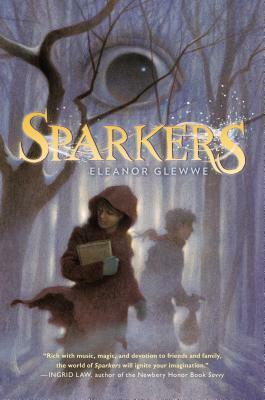 I subscribe to the YA Reading Club and this past month Sparkers was the book I received. It was arguably one of the best books I’ve read! I absolutely loved learning about Ashara, the kasir, and the halan. Marah and Azariah were characters that drew me in and made me want to keep reading! Thank you so much! I’m glad you enjoyed Sparkers. I read wildings and I was wondering why you made Rivka’s father so horrible. can you write another book where he becomes a better father and person? also, why did Rivka have to lie in order to get things done(With finding Arik) I hope that makes sense. Thank you for reading my book! Well, Rivka’s father is an antagonist in the story. I think I tried to show brief flashes of a more human side to him, but I agree he’s pretty horrible. I’m afraid I’m not planning on writing a follow-up to Wildings. Hm, that makes sense; I think she had to lie because her father would have prevented her from finding Arik otherwise.